A listing for Sonic the Hedgehog 4: Episode 2 has cropped up on the Xbox Live Marketplace with new info and screens of the game, which can be seen after the jump. The game, according to the listing, will feature four new zones, a new special stage, an updated physics engine, and both offline and online multiplayer with Tails. This may have been an oversight, as Sega may have had other plans on how to reveal more info on the game, but my attention shifted elsewhere the moment I heard “multiplayer” and “Tails”. I have fond memories of playing the genesis era Sonic games with my cousin. Of course, he’d be stuck as Tails, but that’s another story. I’m pretty sure that many Sonic fans have nostalgic memories of Sonic 2 and 3‘s multiplayer, so what I’m really excited about is the online component. Allowing both players to have their own screens gives Sega the potential to really improve on the original formula. 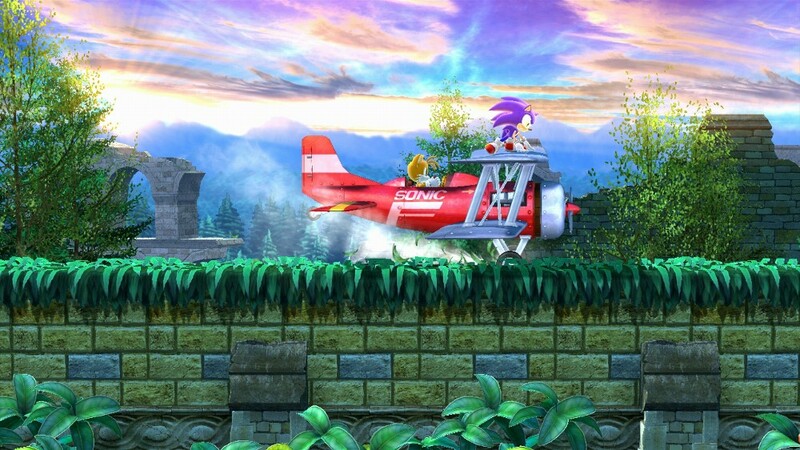 Rather than having Tails go on autopilot whenever he’s left behind or runs too far ahead, the person controlling Tails may be able to split up from Sonic and explore different parts of the level. Or if the two players want to focus on working together, it should be easier now since one wouldn’t have to worry about keeping the exact same pace as the other. All in all, if Sega takes advantage of that, I think it would be an update many Sonic fans could appreciate. That, and I think a lot more people would be volunteering to play as Tails. This entry was posted in Gaming News and tagged online multiplayer, sega, Sonic, sonic 4 episode 2, Tails on February 15, 2012 by Prota. Oh wow! This actually looks really good. They’re not playing around this time! And the online multiplayer, I hope they do make the individual camera follow your character (looking at you LittleBigPlanet!) It would be awesome, especially the idea of someone taking the top section and someone taking the bottom part of the stage. That special stage though. *sigh* I hope Tails sits in a bench somewhere while Sonic does his thing.